Space Movers is a story driven sci-fi adventure about a space ship called Liberty and her crew. As a crew member on the Liberty you jump from planet to planet delivering cargo to gain the resources needed to keep the ship flying. But the journey won’t be easy. As you traverse the system, dangerous events and the watchful eye of the evil UO will keep you on your toes. You will need to work with the entire crew to complete your objectives as a team and win the game. The story begins in the original Comic “Finding Liberty” that will be included with the game. Objective cards that match the Comic continue the story as you play the game. 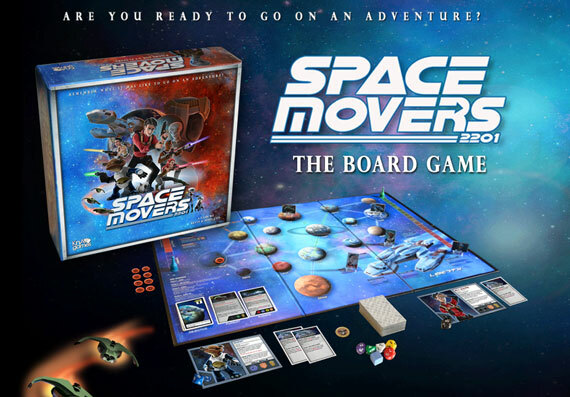 Space Movers handles rolling the dice in a completely new way, bringing skill and strategy into each die-roll. How are your Roll Skills? They will be tested. Listen to the official game soundtrack on your computer or smart phone. Demo video for Space Movers Board Game coming to Kickstarter. 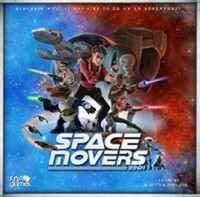 Add a Review for "Space Movers"